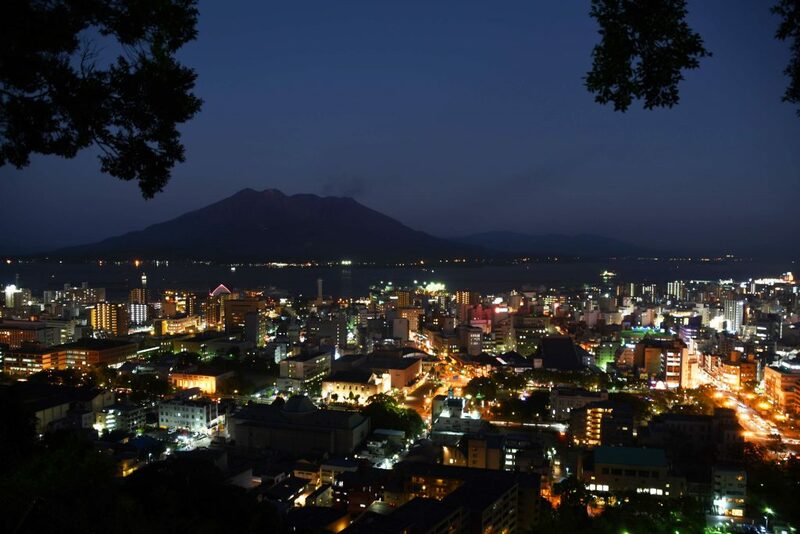 Kagoshima city is a city which its urban area is integrated with nature and magnificent scenery, and it is also a tourist attraction that is represented by Sakurajima. It has scenery unique to Kagoshima city such as a view to Sakurajima, Japanese modernization asset like historical buildings, and urban scenery with slanted green area in the background. We researched the light environment of this highly regarding scenery formation area with Sakurajima as a main axis. 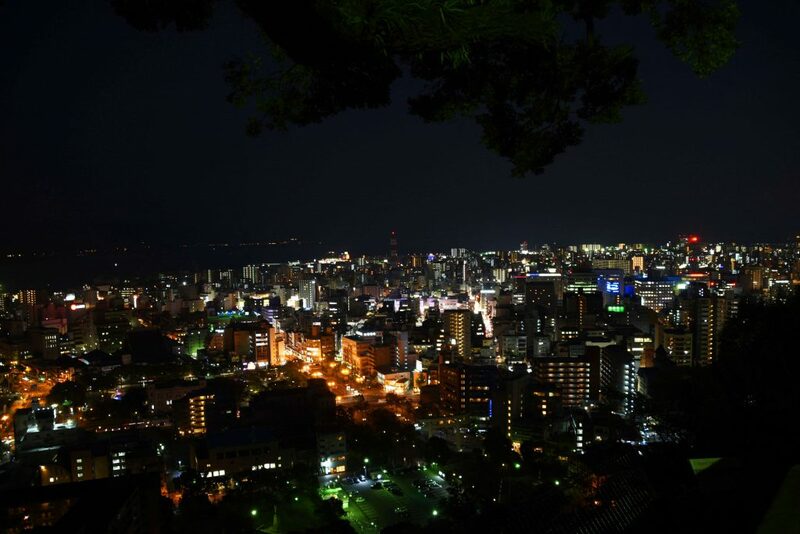 Night view of Kagoshima seeing Sakurajima. There isn’t any color lighting or building advertisement on city in front of the Sakurajima. It takes 1 hour to get to central area of city from Kagoshima airport. It was very exciting and felt good to have a drive looking at clear sky, rich water and greens, and magnificent Sakurajima with rising smoke. When we arrived at urban area, we started from researching about urbanscape planning, so we visited city hall that is a little walk from statue of Saigou Takamori. 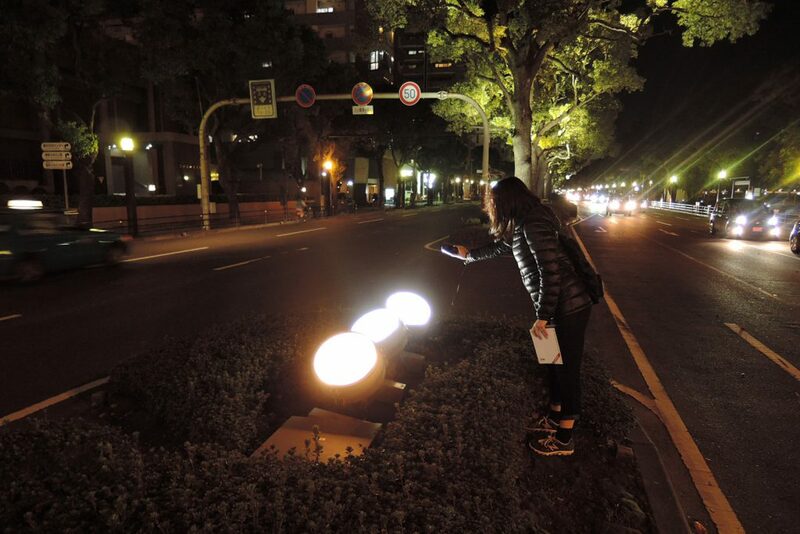 After that, we checked up main roadways in central areas and parks, history and culture area, commercial area, etc, and started preparing for a research about lighting environment. Night view of Central Kagoshima station from the same observatory. 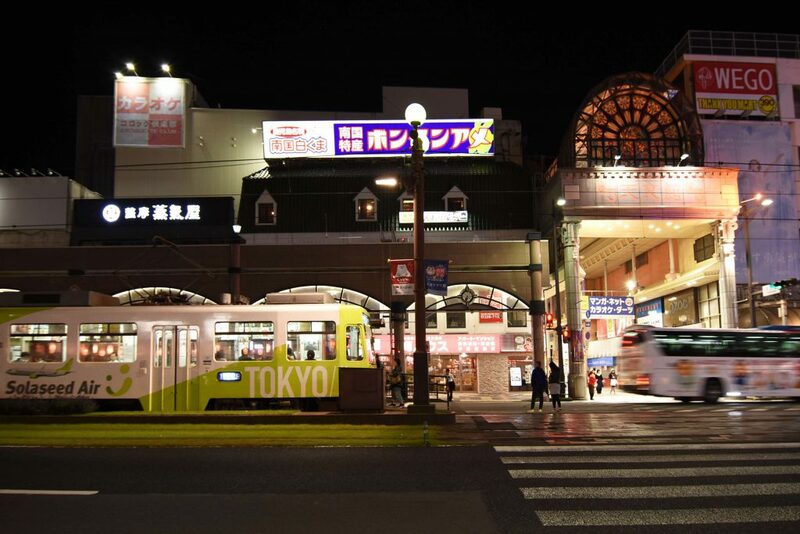 There are color lightings and building advertisements. When the street lights started to turning on and the city was gradually taking on liveliness of night, Sakurajima gradually sank like it was sucked into the dark. We weren’t expecting to see the mountains being lit up commercially because those were pride of the area and were divines since long time ago. 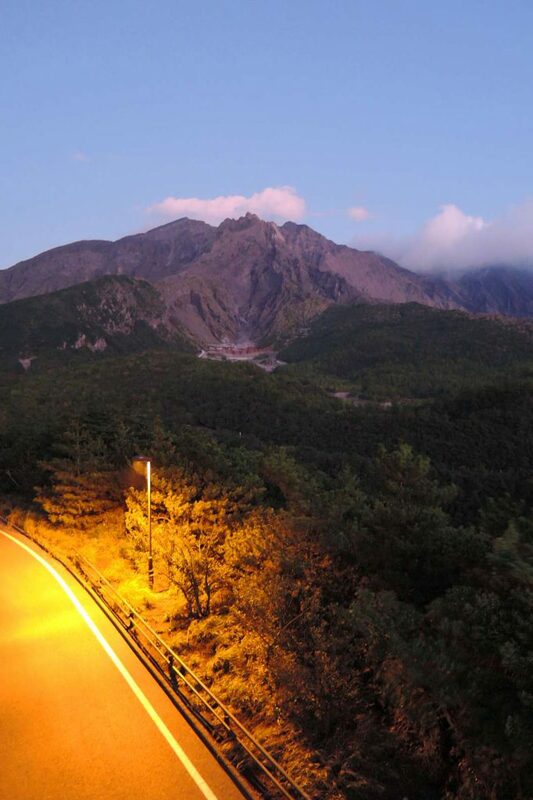 However, we felt wastefulness seeing Sakurajima sinking in the dark as night scenery of tourism resource. 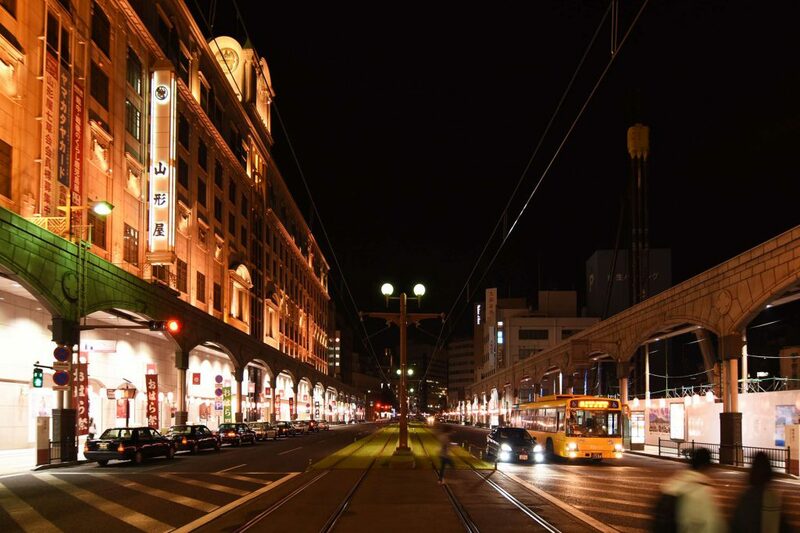 When we observed it closely, we realized that there were only few striking color lighting and building advertisement in the city. We think the lighting is evidently considered to keep a sophisticated view. 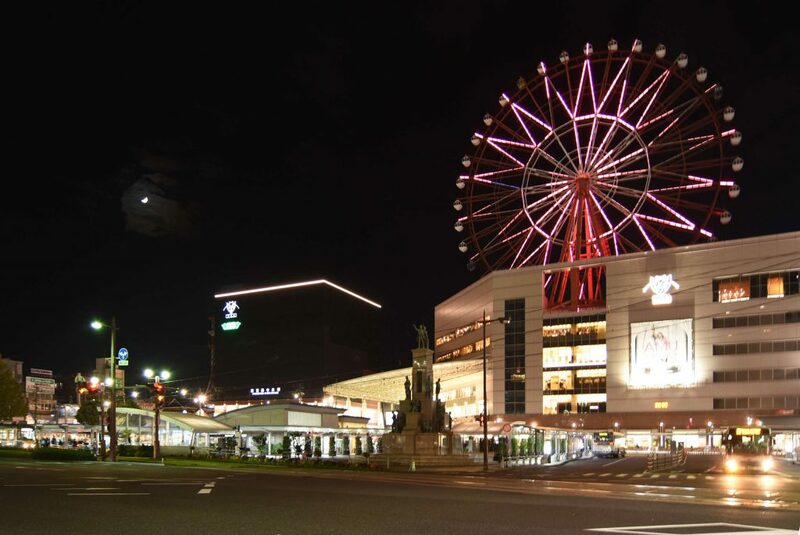 The reason why we think so is because around the central station which is out of sight from this observatory has Ferris wheel and commercial buildings with flashy lightings. 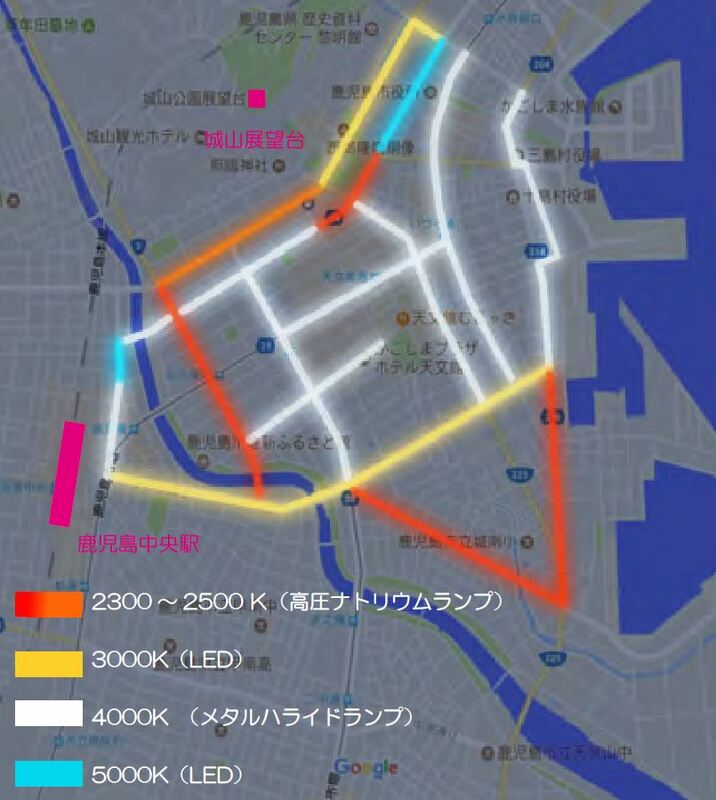 Map represents the color temperature of the street lights. 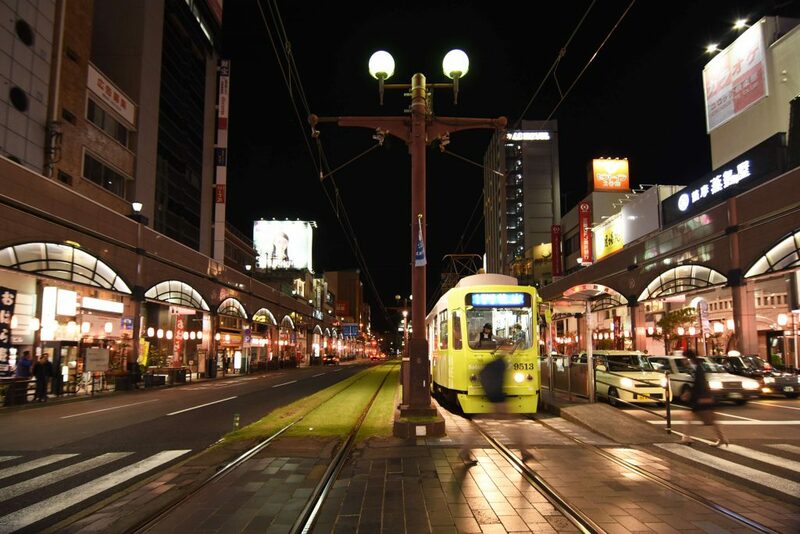 Street lights of central area is set up differently that has basically semi-cut type that lights under the direction, ball type that lights in all directions for roads that the tram runs with the car, street lights that looks like designated gas lamp for historical buildings. Street light of Kagoshima Port Line that goes through very close to Kanie Bay had a family crest of Shimazu family of former Satsuma domain lord and symbol of harbors and waves, and crabs, designs that represented Satsuma. 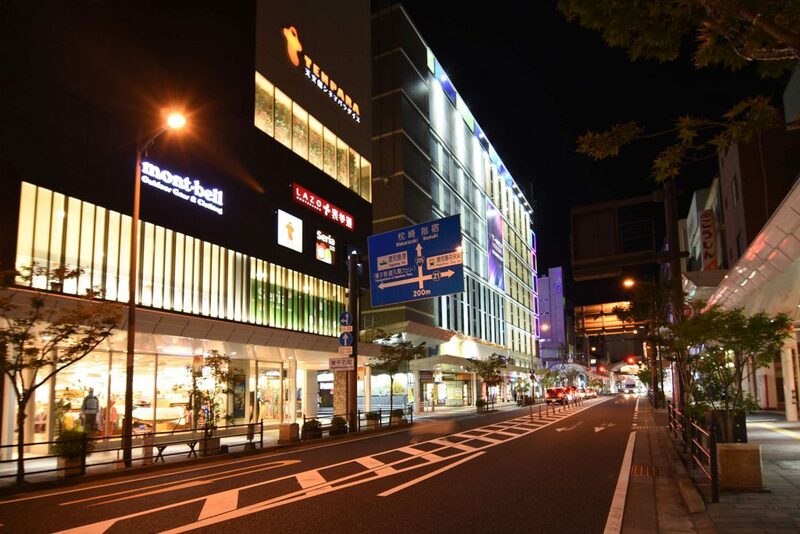 Talking about light environment of on streets is using orange colored high pressure sodium lamp, white metal halide lamp (4200K～) overall, and part of street and streets lights that looks like gas lamp uses LED. Most of the street lights (lamp set up on telephone pole) set up in narrow alley were replaced with white (5000K) LED and feels glaring. Overall, it seems like street lights in here isn’t really turned into LED. 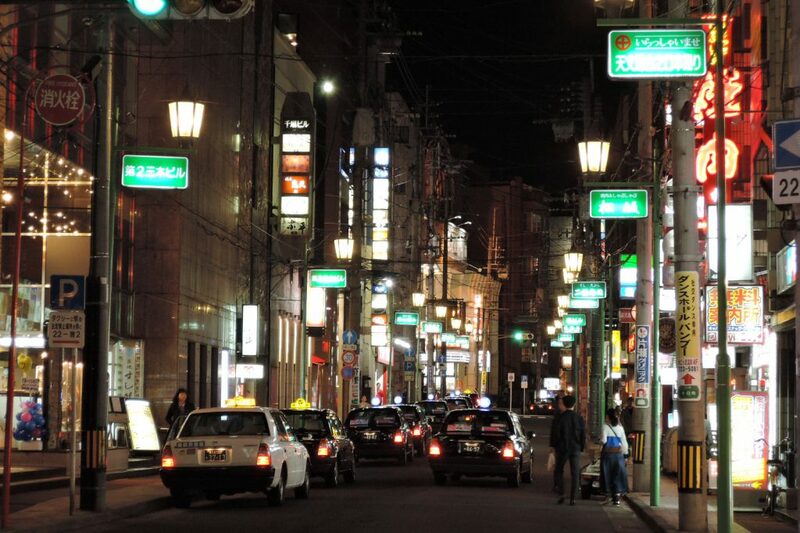 Front of arcade is flourished at night. Flourished downtown area. A sign lit up green really stands out. 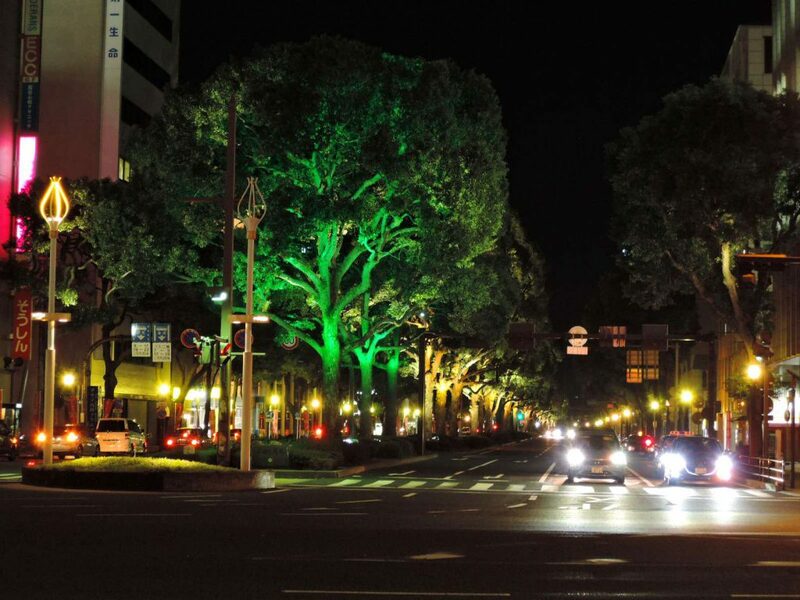 Trees in front of central station were lit up in green. Naples Street and Perth Street that extend from central station to Kanie Bay is the area that re-equipped in recent years. 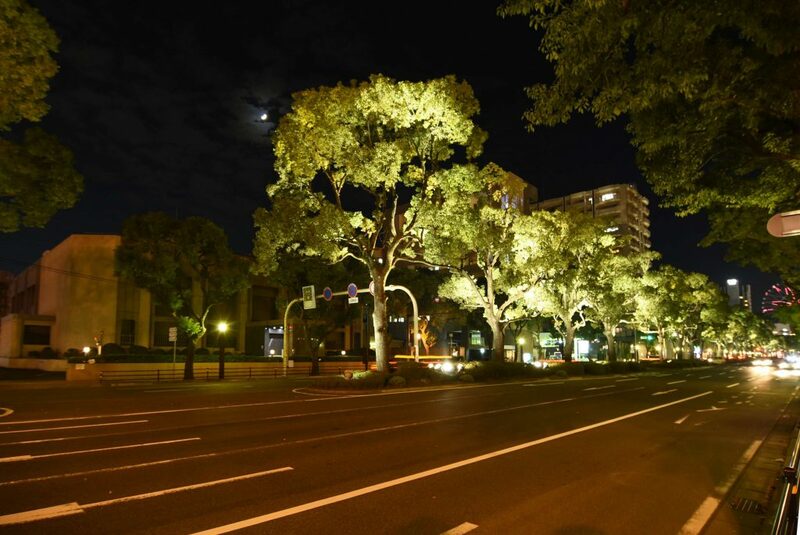 There isn’t any lighting for roadways, and there are 4m high pole light in every 15m on sidewalk and illuminated camphor tree in median strip. Lightings for trees lit up separately on purpose for leaves and stem with three different types of lightings of color temperatures that is about 2400K, 3800K, and 4200K. 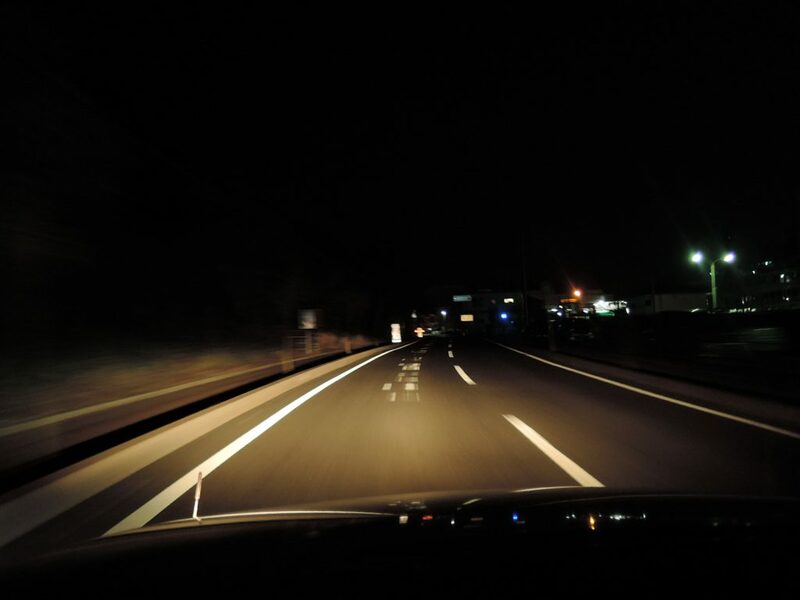 The lux level of roadways is 2-4lux, and about 11-22lux when close to pole light. So it is not that bright for Main Street, but illuminated camphor gives sense of brightness while colorizing the street dynamically. Impressing Naples Street with glittery illuminated camphor tree. Different color temperatures are used. Commercial facilities line up lively in front of central station of Kagoshima. Minato Main Street Park is located at where city hall and Sakurajima’s axis line meets. It’s 18m wide, and 350m to the beach that looks like road of lawn. Two types of street light with unified design lines up on both sides of the park. This street light has globe shaped fixture, and it indicates the relationship with this pole light and that of tram line. The lux level of side walk is about 2-3lux, and the lux level of roadway is about 4-6lux which was not necessarily bright level. 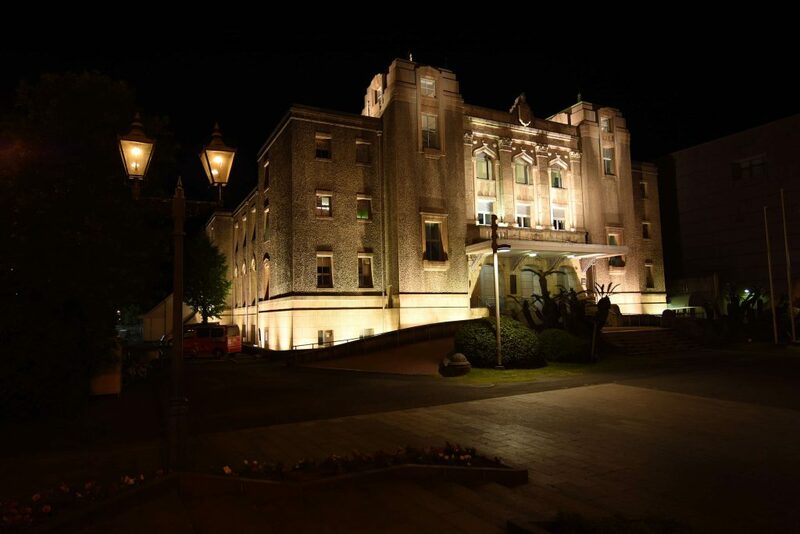 But because of the luminance level of street light and illuminated city hall located head of the park, it didn’t make the place dark, and made comfortable light environment. However, even though we carried out a research at 8:30 pm, there weren’t people in and around the park and it was solitary. One of the reasons is locations which the park was far away from downtown and residential areas. 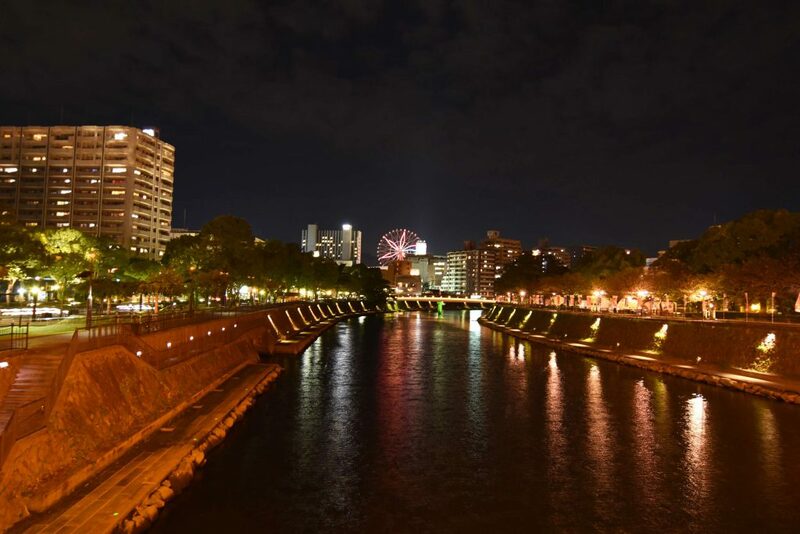 We felt that if there are some factors that call in people, many of them will realize this park’s charms of comfortable atmosphere regardless of daytime or nighttime. When talking about famous photo spot in Kagoshima, statue of Saigoh Takamori comes up first. 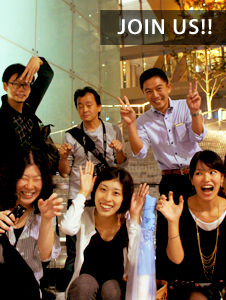 Tourists came and took photos continuously during the research in daytime. A big statue that is 8m high looks very imposing with the rich green in the background. On the other hand, Saigoh in the nighttime was a little disappointment. 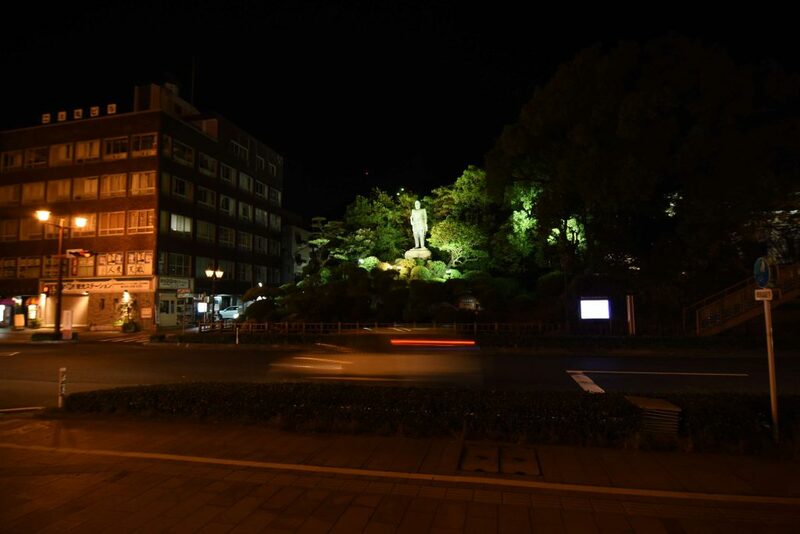 The reason why is that the trees around were lit up with white floodlight, but the statue standing in the center looked dull lit up with the lamp color. 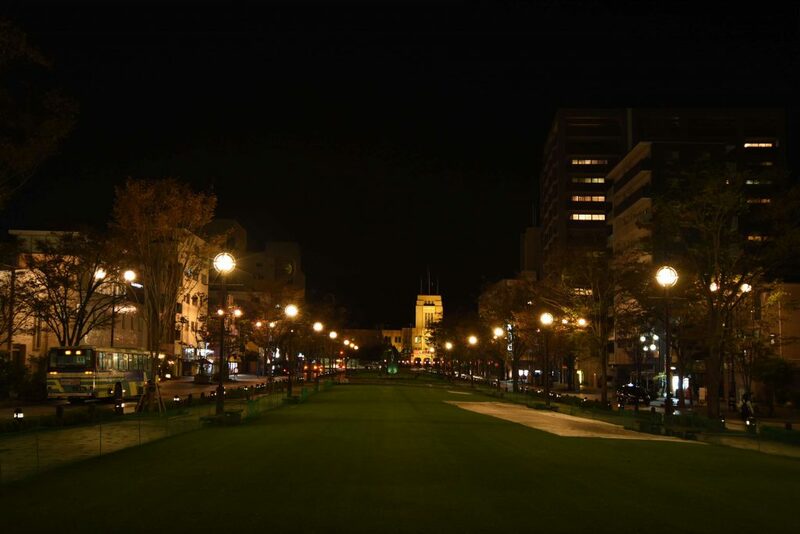 To be a popular photo spot at night, the color temperature of floodlight that illuminates trees and the statue should be replaced and arrange the lighting to make both statue and greens look beautiful. 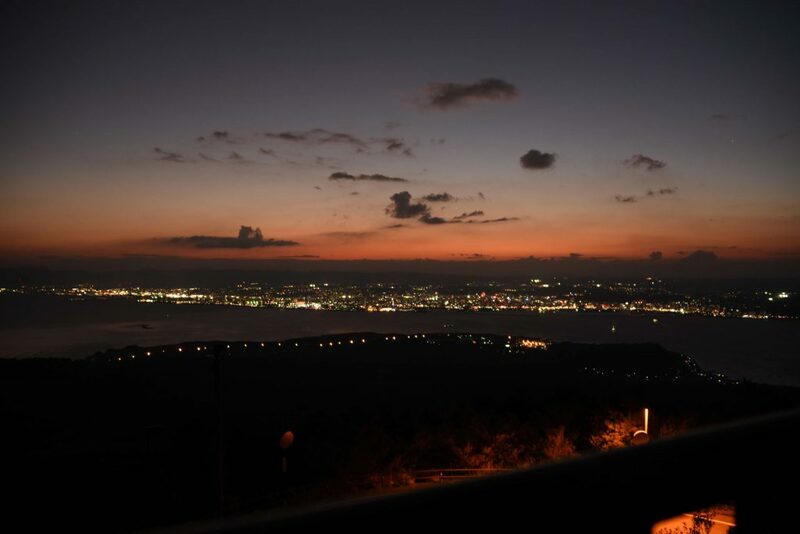 We felt consideration of Kagoshima for night views from observatory to Sakurajima. Contrary to the scenery in the daytime that made Sakurajima as a main, brightness fades out from commercial area which the central station to Sakurajima. 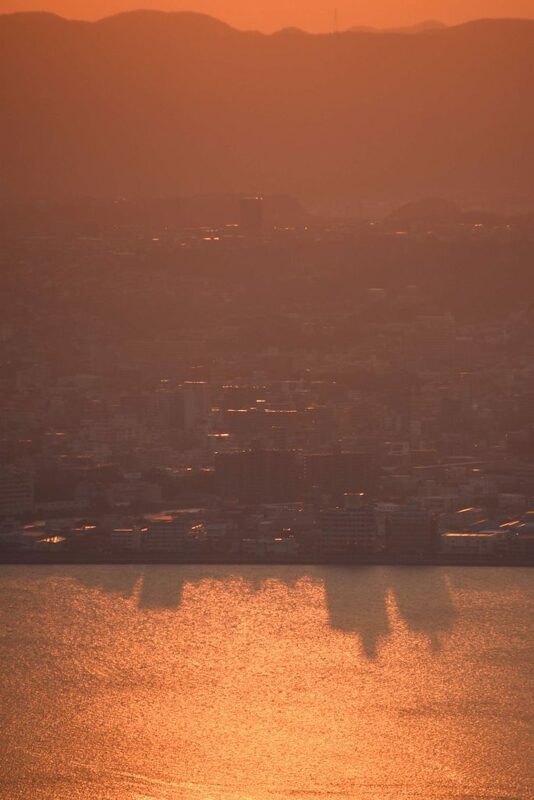 On the other hand, the city shines brightly like a main role when we view urban area from Sakurajima. Conversion of the main role formed by natural features and cultures may be the scenery unique to Kagoshima.